I think that every true gamer will agree that some games literally are like drugs. You want to play them all the time, and when you don't play them, you talk or think about them. This is especially true when you're new to the hobby and only have one or two games in your possession, blissfully unaware of the abundance of excellent games out there. This is my history of board game drugs. These drugs aren't necessarily the best games I've played, only the ones I've been addicted to. It all began with this classic game. My father taught me the game when I was 5-6 years old, and I still have vivid memories of it. It was my first exposure to proper board games. Although there were several hiatuses, sometimes lasting several years, I was heavily addicted to this game on and off for almost 30 years; during some periods in my youth, I played it every day. I studied opening theory and the grand masters' games, and played on and off in a couple of chess clubs; I even played in my country's third highest league for a while. However, my Elo rating never reached higher than 1642, if I remember the figure correctly; I simply never had the patience to sit and think for hours and hours. Not very surprisingly, I was most fond of and best at playing blitz Chess. My time as a Chess junky has come to an end, though. I've grown very tired of Chess in recent years, and nowadays I only play the game very infrequetly and very reluctantly. 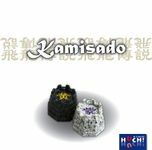 Despite its long history and rich literature, it feels rather pale next to other abstract games like Go, Kamisado, Fealty, GIPF, and PÜNCT. 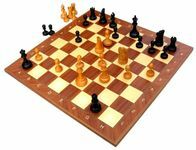 Still, Chess was the game that brought me into board games and I have many fond memories of playing it. 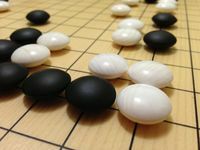 I played Go for the first time in my teens, and it was love at first sight. However, I soon defeated the owner of the game decisively every time we played, and then he was suddenly not very interested in playing it anymore. For many years, I didn't know anyone who was interested in playing the game, so I never bought a copy. A couple of years ago, it turned out that a member of my gaming group owned Go, and once again I got the chance to play this fantastic game. However, I utterly crushed him in our first game, so he hasn't been very eager to play. He has utterly crushed me in other excellent abstract games, though. 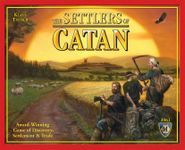 Civilization is an anomaly in my board game history; it was neither a continuation of a trend nor a beginning of a trend. I can't actually recall how we, a bunch of teenagers in our late teens with very little experience of board games, got the idea to buy this monster: a gamer's game with 20 pages of rules, 146 cards, 630 tokens, and a playing time of at least six hours. I can't recall how we could get hold of a copy either; online trade didn't exist back then. However, the biggest mystery is how we managed to translate and understand the lengthy and complicated rules. In my mid-twenties, I was an exchange student in Prague. We had way too much money for being students, so we ate in restaurants every day and partied every night; during a couple of months, literally every night. Occasionally, we also studied. It was a most enertaining and most unhealthy time. For some reason I can't recall, we got the idea that we should try Bridge one day when we were suffering from yet another hangover. None of us was a gamer, but we all caught on quickly. Within soon, we were addicted to this classic, classy card game. We played every day before we went downtown to raise the devil, usually with a delicious Czech beer in our hands. We never learned any bidding systems, but we became quite skilled at the game anyway, if I may say so. In any case, we were clearly addicted and I don't know how many hundreds of games we played. Our Bridge addiction ended when we returned home, and I've never felt a strong urge to play the game again. Still, I think it's a good game which every gamer should try at least once. I played this game a handful of times in my early teens and certainly enjoyed it; I'd say it's difficult for a teenage boy not to enjoy this game. Almost twenty years passed before I saw this game again, when a close friend of mine, a non-gamer back then, suddenly suggested one day that we should start playing board games and eventually brought Talisman. Initially, we were a bit skeptical, simply because of the kind of people you, usually sadly accurately, associate with the hobby. I shan't pretend that we had a moment of enlightenment when we played Talisman that night, but we had a hell of a fun time! We played Talisman the next time we met again, and the next, and the next, and the next. It was a fact: We were addicted and there was no turning back. We were doomed to be gamers. Back then, we really loved Talisman; we were blissfully unaware of the gigantic scope of the world of board games. Today, I'd only play Talisman for nostalgic reasons. Although I maintain that the game captures its subject matter in an excellent fashion, I have to admit that its use of dice is outdated, that it's completely unbalanced, and that it offers few meaningful decisions to the players. Still, if it wasn't for this game, I wouldn't write this geeklist right now. Eventually, we started growing tired of Talisman, but the owner had another ace up his sleeve: Carcassonne. Within short, he started expanding the game, with expansion after expansion, until it became a barely manageable monster. We met at least 2-3 times a week to play Carcassonne, and invited both gamers and non-gamers to play in ever-changing constellations. It's quite possibly the game we've had most fun with in my gaming group, and second to the next entry, the game we've been most heavily addicted to. I don't play Carcassonne very often nowadays, and when I do, I prefer only using a handful of expansions, more exactly Carcassonne: The River, Carcassonne: Expansion 1 – Inns & Cathedrals, and Carcassonne: Expansion 2 – Traders & Builders. Furthermore, I much prefer Carcassonne: Hunters and Gatherers and Carcassonne: The Castle. Still, this game showed me that board games can be so much more than rolling dice and moving pawns. I played this game for the first time at a Midsummer Day celebration, an old tradition in the Nordic countries. During these festivities, heavy consumption of alcoholic beverages is more or less mandatory, so my memories of the evening in question were quite vague, but I did remember playing an exciting game before everything went foggy. I bought the game and we, i.e. the Talisman/Carcassonne gang, immediately got addicted. This addiction was really bad for a while. When we were at the bottom of the abyss, we played 2-3 games of Settlers every day for a whole month! Even today, I can understand why; the combination of gambling with dice, calculating probabilities, building a simple civilisation, trading with resources, and trying different roads to victory is quite ingenious. I was lured into playing this game at an idyllic, little convention, and I got hooked at once. I bought the game shortly thereafter and soon everyone else in the gang was hooked too. Every time we had a gaming session, we played BSG and had a blast. If we didn't play the game when we met, we talked about it, no matter where we were, and we watched the TV series from beginning to end. A couple of acquintances we invited to play became heavily addicted too, and started an own gaming group, which only played BSG. Unfortunately, I've grown quite tired of this game; it takes too long to play, the rules are too Ameritrashy, the constant voting becomes monotonous etc. Nowadays, I much prefer a game of Shadows over Camelot, or even something as simple as Shadow Hunters. 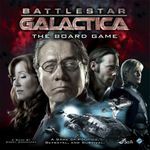 Still, BSG opened up a whole universe of unconventional board games for me; before BSG I didn't understand exactly how socially and psychologically complex playing board games can be. 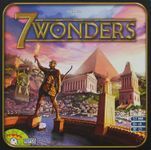 When we suffered from BSG poisoning, a veteran gamer joined our gaming group, and he always brought 7 Wonders; we never really came around playing it, though. When the interest in BSG began to fade, we started looking for a new drug. We only had to play 7 Wonders one time to suffer acute card-drafting poisoning. Whenever we had a gaming session, we played 7 Wonders all the time, again and again, never tiring. When we didn't play the game, we thought of playing it. We were actually very close to overdosing on 7 Wonders; I thought I'd never want to play it again. However, we let it rest for a year, and now it's almost as fun to play again. I don't think I'll ever become a 7 Wonder junkie again, though. The first time I played this game, we stayed up playing until two in the morning. This was a clear warning sign of addicton, as I had to get up six in the morning and go to work. Since then I've played the game many, many times, and it never feels repetitive. 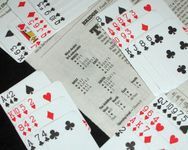 Oddly enough, as the means of variation in the base game are quite limited, and we almost invariably play the base game. I remain addicted to this, in my opinion ingenious game, and I don't know if I can get off it. It's my only heavy on-going addiction; in fact, I feel a strong urge to play this game at this very moment.